The twenty stations of the cross in this volume are a creative blending of traditional stations along with new ones that reflect the complete Pascal Mystery of the Risen Christ. Beginning with the First Station of Christ's Baptism in the Jordan, along the narrow streets of Jerusalem's Via Dolorosa, through his Crucifixion on Calvary, his Resurrection and concluding with the Twentieth Station of the Ascension, the reader is guided on a day-by-day pilgrimage experience of visiting the sites of the passion of Christ in and around the Holy City. 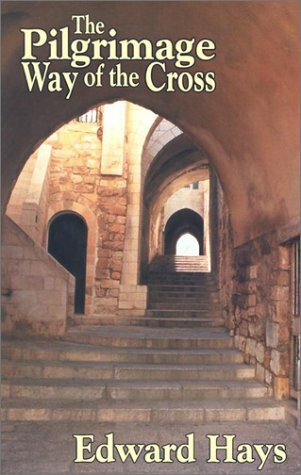 The Pilgrimage Way of the Cross is abundantly illustrated with 25 original pencil drawings by the author, 30 photographs and 14 detailed maps that together enhance this book's lived experience of the ancient Holy City. For those who have never been to the Holy Land, this book provides a profoundly moving first-hand experience—and a rich reminiscence for those who have already traveled there. Pilgrimage is an excellent companion book for those preparing for baptism in RCIA and a deepening resource for every faithful disciple whom Jesus called to "Take up your cross and follow me."